A study of a branch of blackberry curving to the right with the weight of sprays of fruits and leaves. Leonardo made several studies of branches of blackberry, possibly in connection with his painting of Leda and the swan. 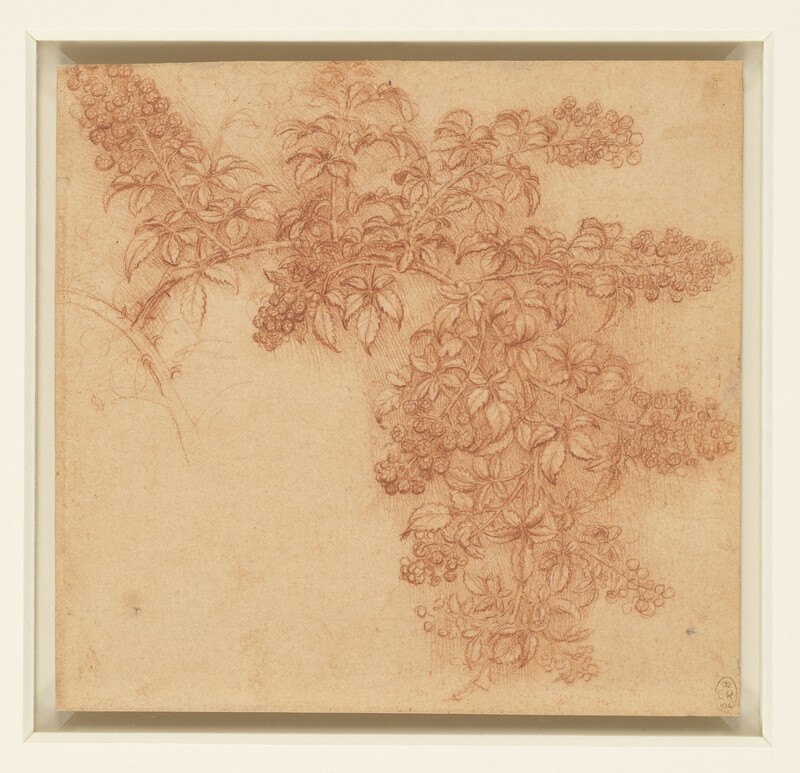 While they capture the vigorous nature of the bramble’s growth, they are also highly detailed, drawn with a sharpened piece of natural red chalk.